If you are interested in Boston history and gardens, I have a book recommendation for you. It’s called Boston’s Gardens and Green Spaces by Meg Muckenhoupt. It’s an easy-to-read, interesting book filled with crisp facts and great photos of local Boston gardens and spaces we know – with a few surprises. No Boston garden book could be published without homage to the Boston Common and Public Garden as well as the Commonwealth Avenue Mall and Riverway. The author does justice to these gems and others. But she also widens the view to include Pocket Parks, like my favorite Post Office Square, Green Buildings and Gardens for Healing and Reflections. In the latter section, Ms. Muckenhoupt includes the idyllic Mount Auburn Cemetery and the Virginia Thurston Healing Garden in Harvard, MA. Ginny was a friend of my mother’s and I was delighted to see this lovely space listed. FYI: I learned about the book at a recent lecture sponsored by The Garden Club of the Back Bay. 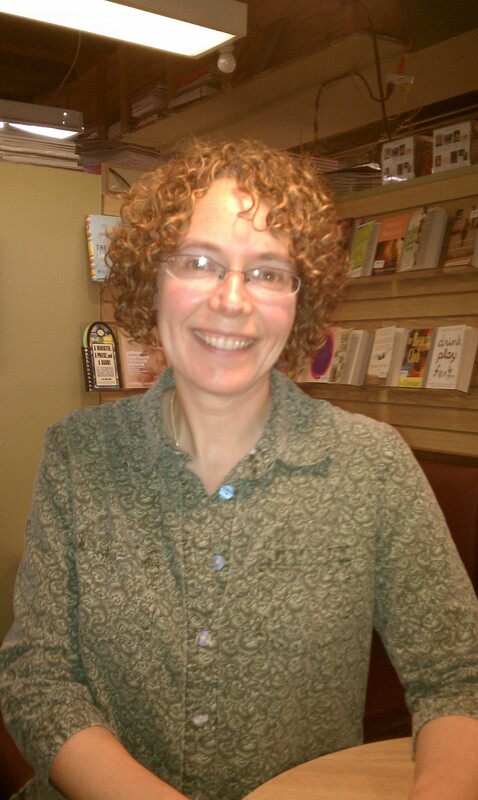 As a presenter, Ms. Muckenhoupt was engaging and full of Boston history (of which I am a self-professed junkie) and she offered the twists of fate and commerce that led to the formation of the parks and green spaces. Very interesting. So interesting that I bought the book! I’m finding it to be a great coffee table book – easy to pick up, read a bit and put down. 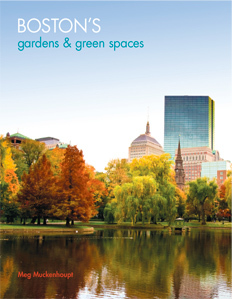 And after each read, I am happy to know more about the vital, beautiful gardens and green spaces in and around Boston.